Today is the 52nd Birthday of Wesley Snipes! Snipes began training in martial arts when he was 12 years old. He has a 5th degree black belt in Shotokan karate and a 2nd degree black belt in Hapkido. He has also trained in Capoeira under Mestre Jelon Vieira and in a number of other disciplines including kung fu at the USA Shaolin Temple and Brazilian Jiu Jitsu. During his time in New York, Snipes was trained in fighting by his friend and mentor Brooke Ellis. 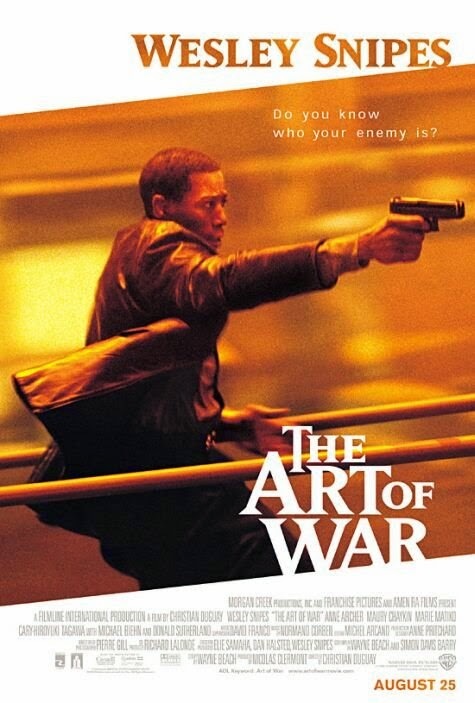 In his honor, posting a full movie, The Art of War. Shaw is an operative for the United Nations' covert dirty-tricks squad, using espionage and quasi-ethical tactics to secure peace and cooperation. When a shipping container full of dead Vietnamese refugees turns up on the docks and China's ambassador is gunned down at a dinner celebrating a new trade agreement with China and the US, Shaw is framed for the murder and must evade the FBI and Triad gangsters to find out what is really going on. Happy 76th Birthday Dame Diana Rigg!! Happy 27th Birthday Jon "Bones" Jones!! Happy 167th Birthday Wong Fei-hung! !